We’ve all been too friendly, too flirty, or too fast with someone who cared more for us than we did for them. Whether it’s being kind out of sympathy for someone having a rough time, or starting a relationship with no intention of seeing it through, the fallout… is terrible. Here’s how to avoid the worst. 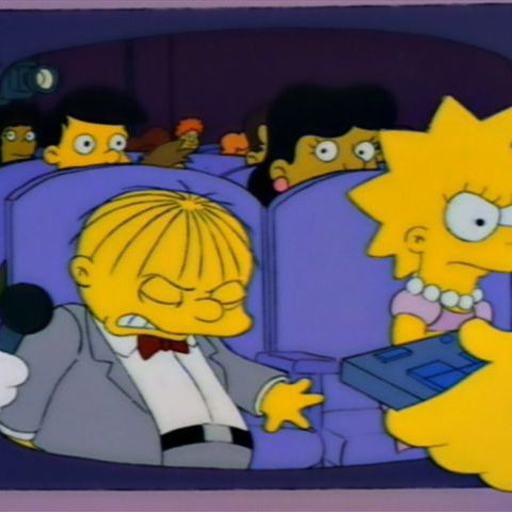 In the classic episode of The Simpsons, I Love Lisa, Lisa gives Ralph a Valentine because no one else will. She feels sorry for him and acts out of compassion, sympathy… and maybe a bit of pity. We’ve all been there. When I was young, I tried to be friendly to a classmate who clearly didn’t have much adult attention at home, and was overweight and unkempt as a result, making him unpopular. I cannot overstate enough how terribly it ended. He developed a crush on me due to my friendliness. I didn’t return his feelings, didn’t want to hurt him… and didn’t know what to do. Being mean or rejecting him outright didn’t feel like an option, but somehow just being friendly and civil was leading him on. One day he wrote my name and his name over and over again on a piece of paper, and then showed me. I was mildly creeped out, and told my mom in a casual conversation. She freaked out and called my principal. The principal called this confused young man and I into his office for the single most awkward half hour ‘talk’ of my life. Am I just too nice? Are men predisposed to misread signals? I don’t think that being taciturn and rude to any man I’m not attracted to is a viable option, nor a spiritually sound and sustainable one. I think it’s much more complicated, beautiful and profound than that. Gender dichotomy isn’t a universal truth. But opposite energies are a reality, recognized by our ancestors since the dawn of humanity. In our culture, where those energies are out of balance, men are often forced into emotional isolation. The Ralph’s of the world, who are different in addition to being male, in a culture that views manhood as an unfeeling and overbearing ambition deserving of admiration but not affection, are even more isolated than the average. These beautiful young men are hurting, but aren’t allowed to show their hurt… often, they don’t ever have the opportunity. In addition, we are all taught implicitly in school to ignore the needs and energy flows in our own bodies. If we fidget, an acknowledgement of our body’s state, we are usually punished. Boys in particular are taught to view their bodies as tools, separate from the basic truth of who they are, and have the toughest time in school because of their need to move. Young people are extremely powerful beings, pulsing with energy. When someone is broadcasting yin to someone else who’s about to explode with yang, opposites attract! These isolated, lonely, and confused young men are just as magical, passionate, creative, emotionally complex and ultimately POWERFUL as any major wizard. They are beings of extreme potency, practically pulsing with Yang energy. When someone is nice to them, or receptive to them, or giving to them, that person is broadcasting Yin energy, or the more ‘feminine’ energy. And, well, opposites attract. Femininity ignites explosive ardor and masculine fervor in those with a lot of Yang. For those who are cut off from others and receive this type of energy very infrequently, it can be utterly intoxicating. For those who are cut off from their own emotional and physical wisdom, and therefore are not aware of what’s happening, not equipped to deal with this new intoxication, it can be completely overwhelming. The polarities of ‘gender’ – or in this case, of energy itself – can create a bond even if they exist for only a moment. For a young man who is yearning for that kind of bond, it can be extremely intense. But they may not be fluent in the language of their own inner worlds, because they’ve been taught not to be. The translation of the inner world to the outer one is therefore likely to be spotty at best. Men are so incredible, and have such incredible capacity for passion. When enchanted in this way, it can feel as if they are the only ones on Earth to suffer thus, trapped in emotions so intense no one else could ever have felt them and survived unscathed. Speaking as a young woman who has felt all of those things and been rejected myself, I can tell you that you’re not alone. This kind of enchantment, the passionate exchange of energy and unstoppable attraction is certainly a pitfall of young manhood. But it’s also simply part of growing up human, and I believe that it is one of the most attractive strengths of manhood, too. When you’re overcome by passion for someone who doesn’t feel the same, it can seem like you’re the only person who could ever have suffered so much. You’re not. I’ve been there. Most of us have. Your passion may feel unwieldy. That’s because it is so incredibly powerful. But don’t deny it. Don’t give up. Learn to understand it, to nurture it, to live in the center of the storm. It will take time. But the world needs more men who stand in their power that way. Women need men who stand in their power that way. Men who have that kind of mastery over themselves ignite in women that same kind of enchantment, blind ardor and passionate, undeniable attraction that young women ignite in young men. Lisa explains to Ralph that she doesn’t want romance, and he says he understands. But in the next scene he asks his father how to ‘make a girl like him’. Chief Wiggum advises that Ralph should be persistent. This sums up a lot of what’s wrong with modern heterosexual dating: not believing each other. Ralph is persistent. He gives Lisa tickets to Krusty’s 29th anniversary show, and Lisa takes the gift, acting out receptivity and thus sending out powerful Yin rays. This only fans his ardor into a massive blaze of passion. The thing is, she knows it’s wrong. Not because you can’t go to a show like that with someone as a friend. Not because his generosity was wrong. But because it made him think she liked him. We naturally inspire great passion in each other. This isn’t a weakness, or an instance of one gender being fickle devious irresistible sirens leading the other to a terrible death. It’s a beautiful part of being human. It’s a power we have over each other, and we must be mindful of it. In my experience, men naturally want to provide things for the women they care about, making receptivity one of the most attractive characteristics in a potential mate. So accepting gifts, help and kindnesses can easily be read as romantic to a man, and makes you a more attractive partner regardless of your intentions, therefore making the guy want you more. Sure—Lisa said that she didn’t want anything romantic, and he said he understood. But I personally feel that telling a guy one time that you don’t want anything doesn’t give you a free pass to then engage in what many men would interpret as flirtatious behavior. The thing is that, in many cases, women naturally inspire great passion in men, the depths of which we barely understand. This isn’t a bad thing—on the contrary, it’s one of the most beautiful parts of being human. But it’s a great power we hold, and we must be mindful of it. I’m not saying most women—or even many women—lead men on purposefully. The vast majority do not. I know most who do it are completely ignorant of the effect their behavior is having; they aren’t doing it on purpose. But the harmful effects on men are massive. We have to acknowledge that, as women, we have tremendous power over men who are attracted to us. That’s not because of any fault in either gender; on the contrary, it’s because many men are so incredibly caring, so compelled to love with their whole hearts, and because women are inspiring and lovely and loveable. And vice versa, of course. The truth is any person can Choo Choo Choose themselves, with only good intentions towards friendliness and compassion, into a train wreck typed unrequitted love situation. And fast. How to avoid this? Painful honesty and taking full responsibility for our actions. Emotional intimacy is great. It’s fun. It’s satisfying. And it comes with a power over the other person, and therefore with a tacit responsibility. Ignoring this, or pretending that it isn’t so, will hurt the other person 10 times out of 10. There’s no easy way out of this. If you want emotional intimacy, you have to understand that it comes with an implied understanding. If you suspect that a person has real feelings for you, then you must tread carefully. This is a human being with feelings who is extremely vulnerable, especially around you. Remember that the medium is the message: telling someone that you just want to be friends or that you’re not interested in a relationship, and then spending time with them as if you were in a relationship, is sending them the message that you want a relationship. Something like 80% of communication is non-verbal. And people often hear what they want to. You may say you’re not ready for commitment right now, and they might hear ‘but I will be ready in a month or so, and obviously I still want to date you in the meantime, otherwise why would I be flirting with you’. You can’t take responsibility for another person’s assumptions, flights of fancy, or plain insanity. But you can be aware of the sway you hold over them, and the profound effect that your actions can have. A kiss, a snuggle, even accepting a gift from someone will be much more meaningful in their interpretation of your intentions and feelings than saying you don’t really want a relationship right now. Or are gay. Or don’t speak English. Unless you don’t speak English. In which case, how are you reading this? !